Turn it on with the Power button. Green light lights. Follow page 29-30 of the manual. It clearly states what you do to hold altitude, hdg or nav, as well as ho to engage the ILS/LOC function. Explain further what you mean about having trouble to get it to go where you want? 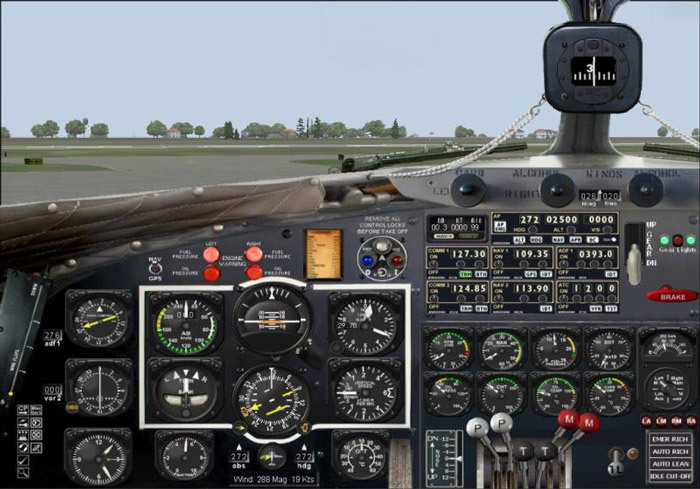 The simple solution is switch it on, engage alt hold, then either switch to hdg hold using default FS commands and steer the aircraft through the heading bug, or engage the Alter Heading button and change course using the heading adjust knob as indicated in the video link I provided circa 19:00 mins. That will get you going where you want. What a lovely plane, I enjoy it really much. The autopilot seems pretty straight forward and I even can get it as far as to follow a flightplan. But here is the trouble, I would like to fly this baby online and therefor I sometimes have to be doing as I'm told by ATC. This autopilot is a bit too rural for that (specifiek heading, for example 245 degrees to the right, or specific altitude, 2500 feet or so), so here is my question: is it possible to add a bit more "computerware" in the cockpit by giving it a rural autopilot, but a bit more accurate to fly with (like the panel modification of Norm Hancock, which he made for the MAAM DC-3). Know what you mean..I am just in the process of trying to find a updated autopilot..